Not too much of a challenge I thought. Ha! This recipe has caused me plenty of annoyance. It’s also given me an opportunity to face a fear. A few weeks ago I asked my Facebook followers what Christmas recipes they’d like to see me create. 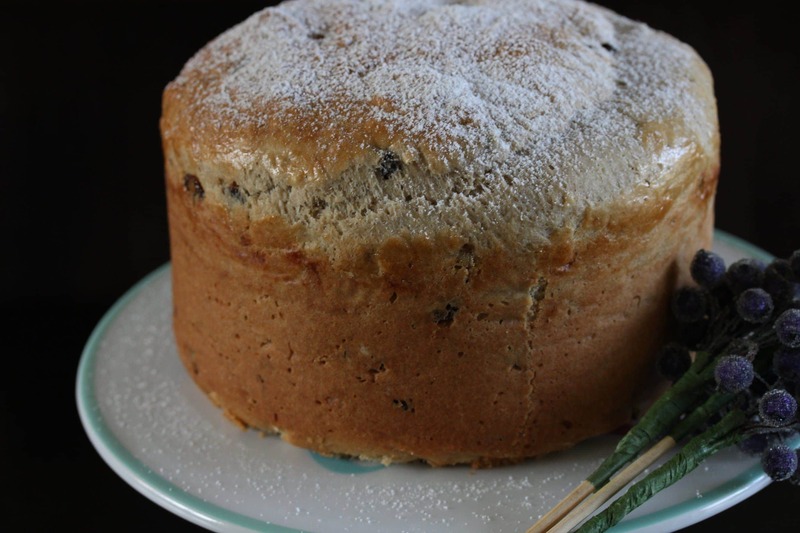 The most popularly requested recipe was for panettone. Along with stollen…but you’ll see that I’ve already cracked that one. 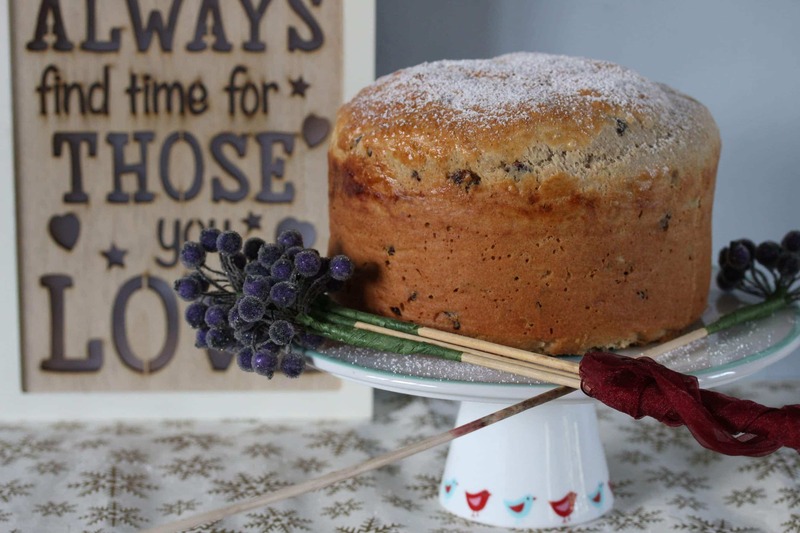 In fact, it’s just one of 13 Christmas recipes I’m teaching how to make in two classes in my private Christmas Facebook group (you can join any time up until Christmas for just £20, where the classes will be available to watch in your own time). 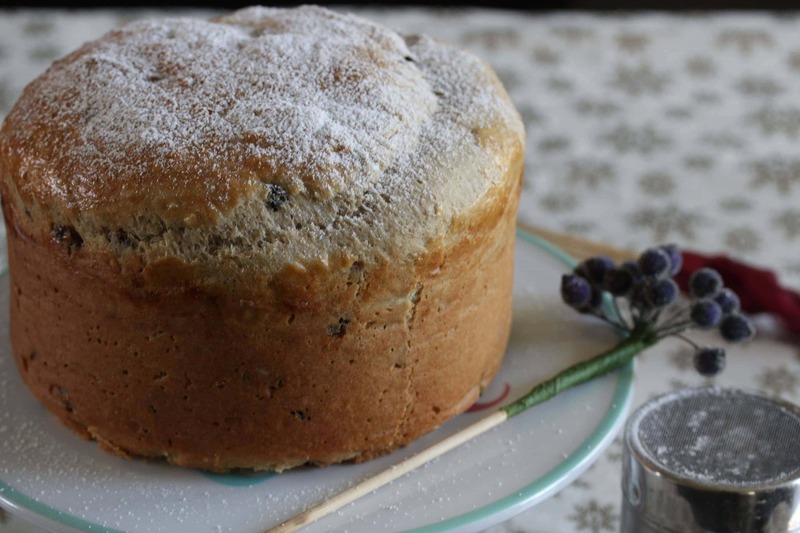 So, I decided to crack the panettone recipe. And I did, first time. Except for a little air pocket right in the middle of the bake. It rather reminded me of a shop-bought loaf of bread. I mean, if you don’t get an air pocket it’s not right, right? I did hours of research about this pesky air pocket. I also asked my baking friends in my Facebook group. I’ve changed the recipe, amended the rise time, altered the method but each time the pesky pocket remains. So today I am doing something that I never do when it comes to recipes. I’m letting go of perfection. Perfection is something I thought was a good thing until a few years ago. Then I realised that all it does is serve to hold you back from ever doing anything. The fear of something ‘not being good enough’ basically stops your life in its tracks. It’s debilitating and crazy but it’s also the perfect excuse to not live life to its full potential and share your gifts. 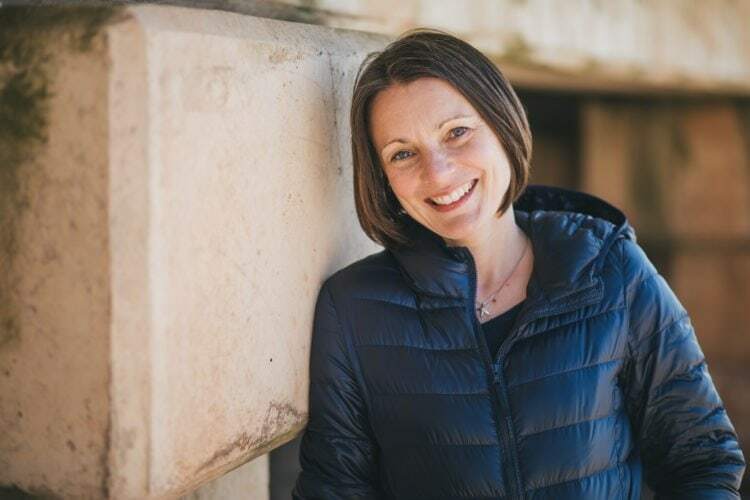 When I started this blog it served as an opportunity to let go of perfectionism. I didn’t believe that anyone read it so it was fine to write something and press publish. Now, I can easily do that, but when it comes to sharing recipes it’s totally different. At that point perfectionism creeps in again. The gremlin in my head tells me that I can’t share a recipe if it isn’t totally perfect. I can’t tell you how many recipes I’ve created that are amazing, delicious and well received but that don’t live up to my high standards. However, I know there are lots of you waiting for this recipe and it is incredibly delicious. 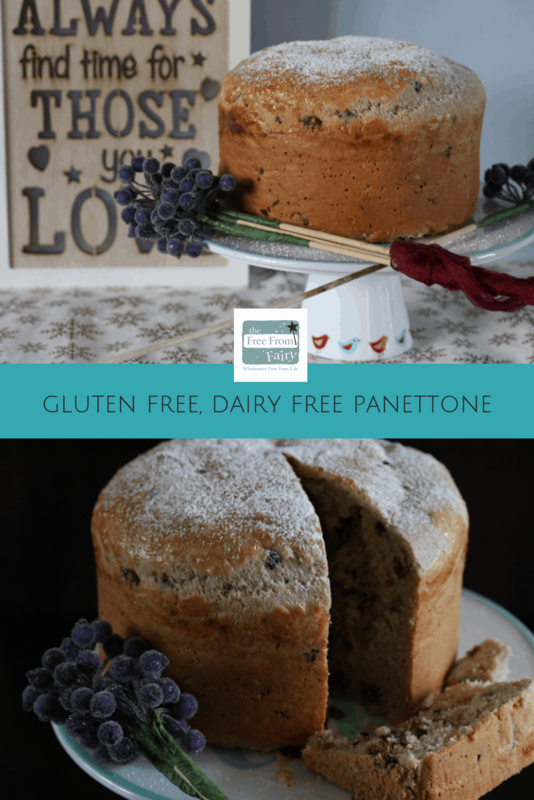 So although my gluten free panettone recipe isn’t perfect, I’m sharing it with you. 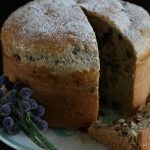 If I had the ability to eat any more panettone I would keep going with the experiments. However, I’m not sure it’s doing my waistline any good and if it’s the oven then the problem isn’t going anywhere soon. 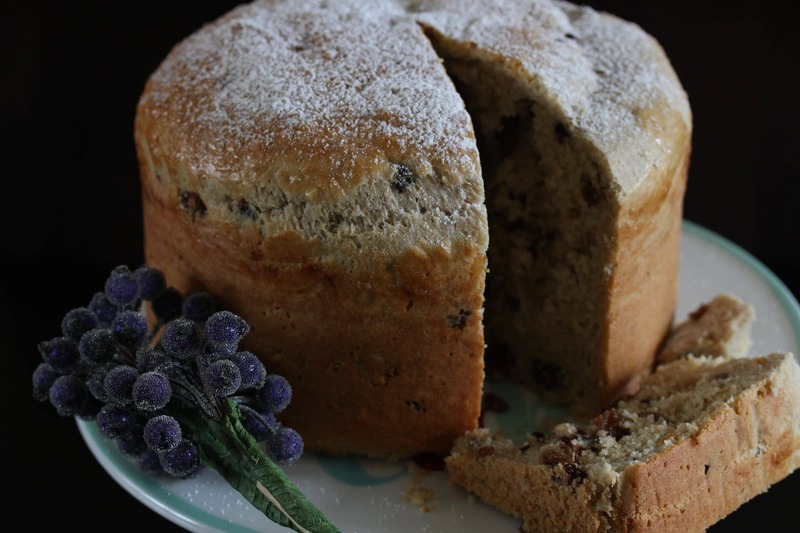 So, although it goes against my inner soul, I’m sharing a slightly imperfect recipe. Imperfect but totally delicious. I will keep experimenting and will get it perfect for next year I promise! However, if you fancied an experiment I would suggest either baking it in a bundt tin (removing the tricky middle!) or in high muffin cases. Or, perhaps investing in a panettone tin? Although I’m not one for having specific tins for specific (infrequent) bakes! Anyway, I hand the recipe over to you with love. Do with it what you wish. But if you do make it please let me know what the air pocket situation is. Don’t forget the pin the recipe for later. Is there anything I can substitute the Psyllium husk powder with? Hi Shelley-Ann, you could try xanthan gum although I haven’t made it with this. Let me know how you get on if you do.